How often should you get your Fire Extinguishers serviced? This is a question we get asked very often and it is a very important part of any building servicing requirements, boat safety checks, home fire safety checks. Too often we hear that some ones fire extinguisher has failed due to being out of date or not serviced. It is imperative that your portable fire extinguisher is checked, so in the event of a fire, your extinguisher can perform as intended. When owning a fire extinguisher, it is very important to keep its servicing current. Its is law in New Zealand for commercial buildings to have their fire extinguishers serviced regularly and be in good condition. It is advisable to have a reliable fire extinguisher in the home and keep it serviced. Most portable fire extinguishers have a pressure gauge, which should be checked monthly. Left unchecked, it has the potential to put the operator at great risk. Gauge checks can be done by yourself, a professional, or most competent handymen. 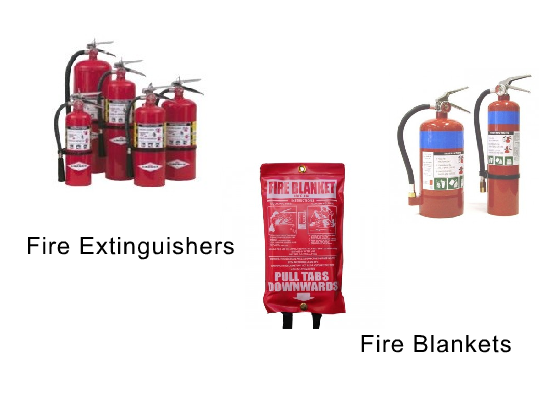 Portable fire extinguishers must be inspected and certified by professional fire safety personnel. This article focuses on why it is important to get your portable fire extinguishers serviced regularly. Owning a fire extinguisher is incredibly important and a very smart safety move for any business or family. Fires can happen anywhere, at any time and always when you least expect it. Having either foam or dry powder extinguishers in your workplace, your home office or home can literally save lives in case of a fire related emergency. Many are unaware that these items need to be regularly serviced. There are several places portable fire extinguishers may be serviced at little expense. At Frontline Safety we would be happy to give you advice on servicing your fire extinguisher at any time. This will keep your fire extinguisher working and serviceable for a long time. Portable fire extinguishers may be serviced by any of our branches or our agents can visit your commercial or industrial site. The critical thing is to get it done. In answer to the question re how often to get your fire extinguisher serviced we would suggest that fire extinguisher servicing is required either six monthly or annually, and hydro testing at least every 5 years. However that will vary by brand and building requirements so best bet is to contact your friendly Frontline Safety agent. A good servicing agent can do everything from checking the pressure gauge, to ensuring it is currently certified and safe to use and can also give tips on its use. Owning a fire extinguisher helps keep your people safe and gives you piece of mind, but also comes with responsibility. You should ensure your fire extinguisher servicing is up to date, and always follow the advice of trained professionals regarding its upkeep and service. If the safety of your people and property is a priority, always be prepared for a fire, and keep a fire extinguisher in the home.